Bhutan Economy, Bhutan History, Bhutan Language, Bhutan Politics, Bhutan Links, Bhutan Tourism, Bhutan Travel Guides, Culture and Education, Druk Yul. Bhutan (or Druk Yul, the land of the dragon) is a remote Buddhist kingdom in the Himalayas. It is landlocked and bordered by India on three sides, East (Sikkim), South (West Bengal and Assam), and West (Arunachal Pradesh), and by Tibet and the Greater Himalayas in the North. Although the country is roughly the size of Switzerland it has only about 1.3 million inhabitants and is therefore very sparsely populated. 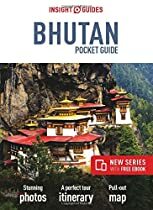 Bhutan is a very isolated, rugged, and extremely mountainous country with relatively few connections with the outside world. While much of this isolation is due to geographical factors it has also been self-imposed as Bhutanese authorities have, for a very long time, made it difficult for foreigners to enter the country. Even today Bhutan remains a bit of a 'forbidden country' as only a few thousands tourists are allowed in every year. It is not surprising for that reason that foreigners often think of Bhutan as the last Shangri-La, or as one of the last frontiers. They are moving forward with modern communications though. As well as the on-going rural telecommunication expansion an international roaming service, much anticipated by some mobile users in Bhutan, has been introduced by B-Mobile. Internet was first introduced in Bhutan on 2nd June 1999, to mark the Silver Jubilee Celebration of the Coronation of His Majesty the King. Two of the main turning points in the modern history of Bhutan, particularly from the point of view of a reduction of its nearly complete isolation from the rest of the world, were the Indo-Bhutanese Treaty of 1949 (which among other things specified that Bhutan shall be guided by India in matters of foreign relations) and the annexation of Tibet by Communist China and the friction which followed between India and China. These events, and particularly the latter, led the Bhutanese to close their border with Tibet and reverse the traditional links they had with Tibet in favour of India. Fearing that India would be tempted to annex Bhutan, as had happened to Sikkim, the Bhutanese started pressing progressively for international recognition, a move which India did not oppose. This objective was finally achieved in 1971, when Bhutan became a member of the United Nations as a sovereign nation. Membership in the UN opened the door to diplomatic recognition, membership in various international organisations and access to foreign assistance from sources other than India. The domestic political life of Bhutan has been marked by numerous internal conflicts over the centuries. Between 1730 and 1885 there were no less than four civil wars. Clashes with British forces in India and the Tibetans all contributed to complicate the situation. Much of the internal tension was due to a system of dual Spiritual Leaders (the Monk Body) and Temporal Leaders (the kings). This struggle ended in 1907 with the formal separation of the church and the state and the establishment of a system of hereditary monarchy led by King Ugyen Wangchuk. It was agreed that the king would be the sole person responsible for all matters concerning the administration of the state, but that the head of the Church (known as Je Khempo) would become an apolitical spiritual leader; both having the same rank in the national protocol. It was agreed that the state would provide for all the material needs of the Monk Body from its own budget. Today the governmental administration and the monks co-habit peacefully in the dzongs. The process of democratisation has been slow but clearly perceptible. A National Assembly - Tshogdu - with limited powers was established in 1953 and transformed the country into a constitutional monarchy. This was followed in 1965 by the creation of the Royal Advisory Council. The Council is composed of six members of the Tshogdu and assists the king in day-to-day administration. According to the United Nations statistics, Bhutan is one of the least developed countries of the world in terms of GDP per capita and social development. However, this is not always obvious to the foreign visitor as unlike the rest of South Asia there is virtually no landlessness and most Bhutanese appear to own their own housing. The economy is dominated by subsistence agriculture; which occupies 85-90 per cent of the active population. The main crops are rice, chillies (a great favourite of the local diet), fruit and cardamom. There is very little industry except for a number of sawmills, small mining companies, distilleries and food processing plants. Being traditional and independent farmers, the Bhutanese are not used to working for a salary. This has often made it difficult to attract labour to non-traditional occupations, such as public works and commerce. These occupations are often performed by foreigners: Nepalese, Tibetan refugees, or Indians. Most of the consumer and industrial goods are imported from India. Internal communications and media remain underdeveloped in spite of visible progress in recent years; like the arrival of IDD and the Internet. Exports are very limited, so tourism and foreign assistance are important sources of foreign exchange. Barter is still a part of the life style, particularly in more remote areas. The national currency is the ngultrum. It is pegged to the Indian rupee at 1 for 1 and the two currencies circulate freely side by side in the country. While Bhutanese coins have been used for a long time, the first significant issue of ngultrums took place in 1972; to finance the coronation of King Jigme Singye Wangchuk. Until Bhutan joined international organisations, much of its physical and social development was designed and financed by India. Bhutan's heavy dependence on Indian assistance has declined substantially in the last 15 years, to the great relief of the Bhutanese authorities. Although the Bhutanese have a clear and distinct identity, their cultural, linguistic and religious sources are all found in Tibet. The role of the Buddhist religion and the influence of the clergy is omnipresent and can therefore be felt in virtually all aspects of the life of the nation. This is often a focal point of interest for foreigners. The national language, dzongkha, owes much of its development to the monks who, like in medieval times in Europe, were often the most educated elements of society. Dzongkha is the language of the more populated areas of Western Bhutan, where the capital city of Thimphu is located. It is hoped that over time dzongkha will replace the many national dialects. English is, however, widely used in governmental administration and education. This is due to the very strong influence of India on Bhutan, including in the education sector. Members of the royal family and the establishment were usually sent to St-Joseph College, run by Canadian Jesuits in Darjeeling. The King even invited Canadian Jesuits to come to Bhutan to organise a system of modern education. Bhutan remains a difficult country to visit and would be tourists have to prepare their visit well in advance and be ready to pay a substantial amount of money for their visits. The Bhutanese authorities are very determined to protect their population, culture, religious heritage and environment from the problems caused by mass tourism through strict restrictions on numbers. After a policy of greater access for foreign tourists in the late 1980's, new restrictions were imposed in the early 1990's. However, since tourism is an important source of foreign exchange earnings, the Bhutanese authorities still allow a limited number of high paying tourists to visit the country every year. Tourists, who are counted in thousands rather than tens of thousands, are usually packaged in groups of five or more persons and escorted by a guide in mini vans. The average cost is about US$200 per day for all inclusive tours and $120 for simple trekking. Groups of 4 or less must pay a supplement. Itineraries and programs tend to be fixed and not easily subject to change. They include cultural shows, particularly folkloric dances; most of which are inspired by superstition, legends and religious beliefs. The masks and the costumes are very colourful and uniquely Bhutanese. Hotel accommodation and tourist facilities have improved substantially since the early 1980s but remain very modest by international standards. To the delight of tourists, hotels are small jewels of traditional Bhutanese architecture and decoration. Being in a range of very high mountains, Bhutan is a country of very deep and narrow valleys. Because of this it is nearly impossible to see the snowy peak and glaciers of the Greater Himalayas when visiting these valleys. This is often a great disappointment for foreign tourists, although Druk Air offers in season one hour mountain flights for about $150.00. Much of the population and agricultural lands, and therefore organised life, is located in the valleys. The valleys most likely to be visited by tourists are the Paro valley (where a small airport is located), the Thimphu valley, the Punakha valley, and the Wangdiphrogang valley and the Tongsa valley. Other important valleys are the Bumtang and Tashigang valleys in eastern Bhutan. These are more difficult to access, and are less likely to be visited. The Thimphu and Punakha valleys are linked by a narrow and windy road, which reaches a peak, at about 12,000 feet of altitude, at the Doshula Pass. From the top of the Pass there is a magnificent view on the glaciers, and a multitude of prayers scrolls competing for the attention of the visitors' cameras. In each of the valleys there is a dzong, housing the public administration and the monks. The biggest one (but not by any means the oldest, as it was only completed in 1969) is in Thimphu and is called the Tashichhodzong, or 'fortress of the glorious religion'. This is the official residence of the king and the Je Khempo. The Punakha dzong is probably the highlight of any visit to Bhutan. It is large, very old, and a very living agora and point of meeting for ordinary citizens civil servants and monks. By comparison the Tashichhodzong of Thimphu is more formal, austere and less accessible. There are many festivals in the dzongs in the year and with a bit of planning the visitor can be treated to an unforgettable spectacle. There are also many monasteries located high in the mountains above the valleys but these are not opened to tourists. The architecture of the dzongs is absolutely unique. Most of the dzongs have extremely interesting chapels and are decorated by a multitude of thankas or huge embroidered scrolls depicting various scenes from the life of Lord Bhuddha. A visit to any of the dzongs leaves a deep and life-long impression even on the most seasoned tourists. Put together with the help of Yves Fortin. Bhutan tourist information with details about travel to and around the country.